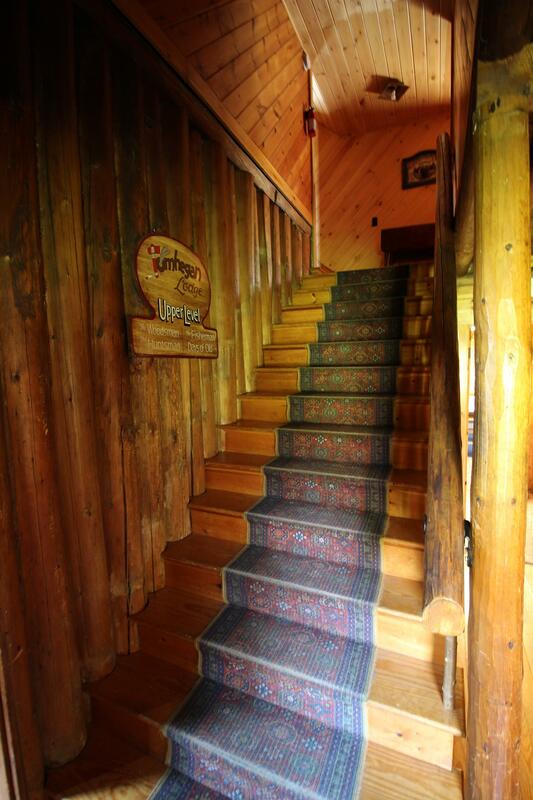 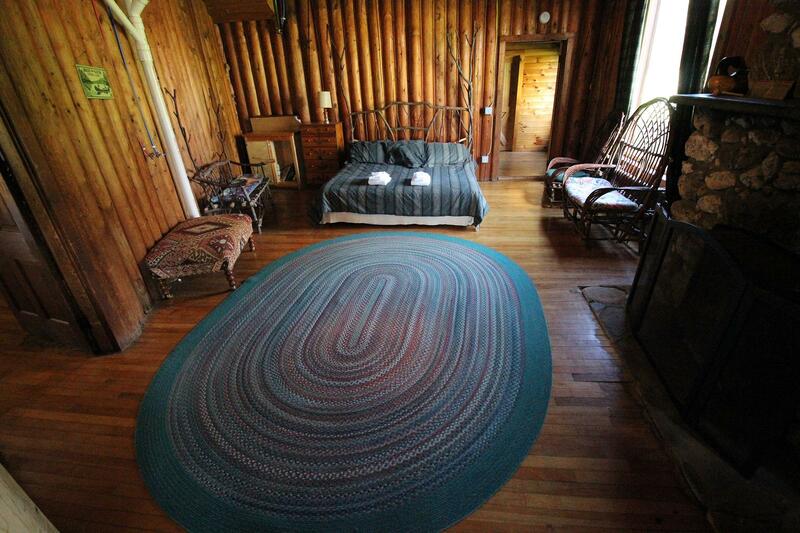 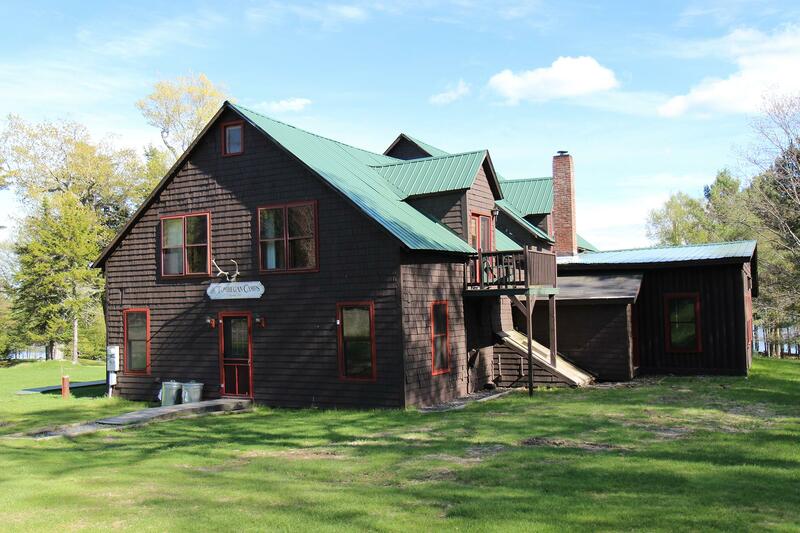 Tomhegan Lodge - capacity to sleep up to 26 people. 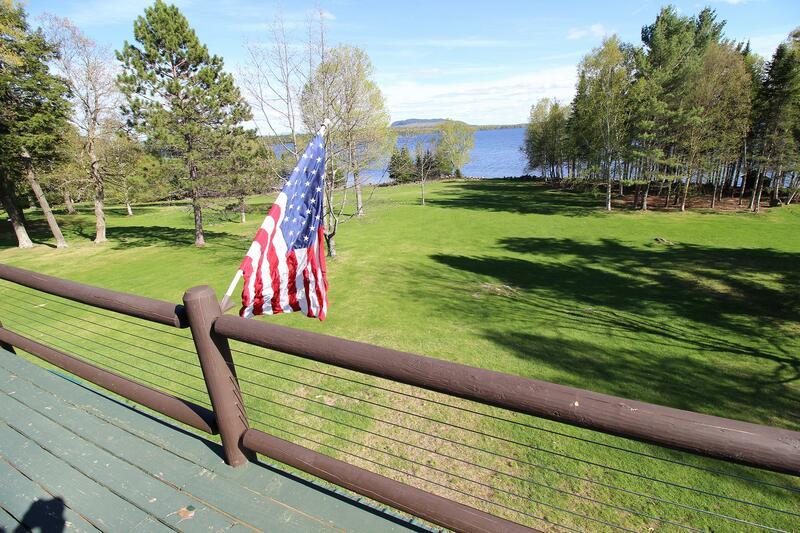 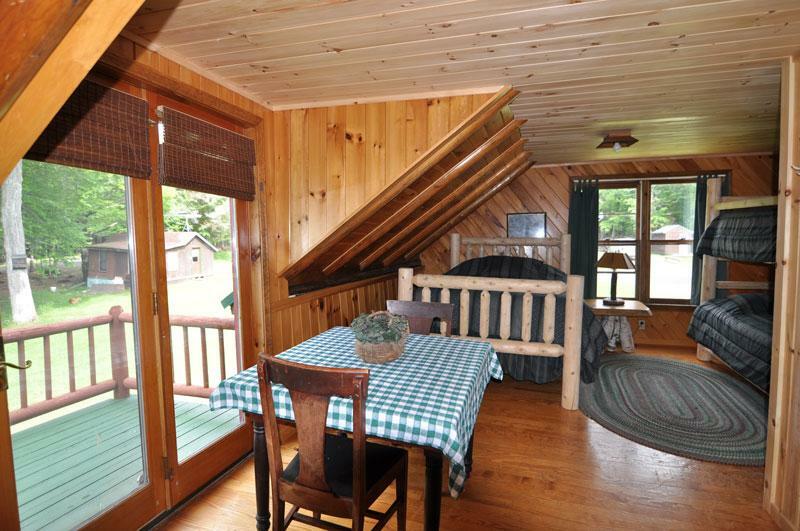 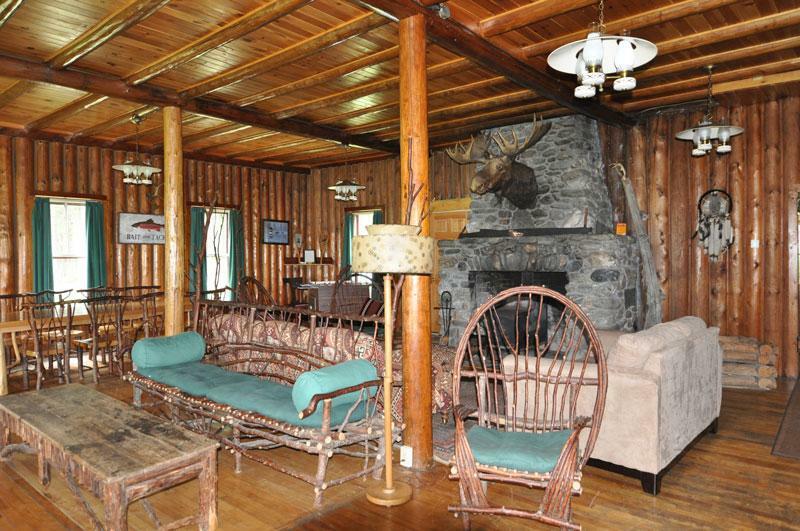 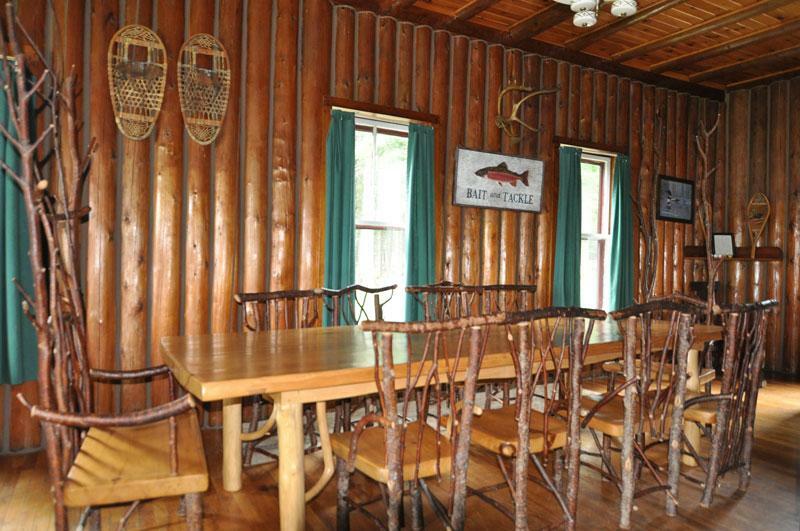 The entire recently renovated Lodge may be rented. 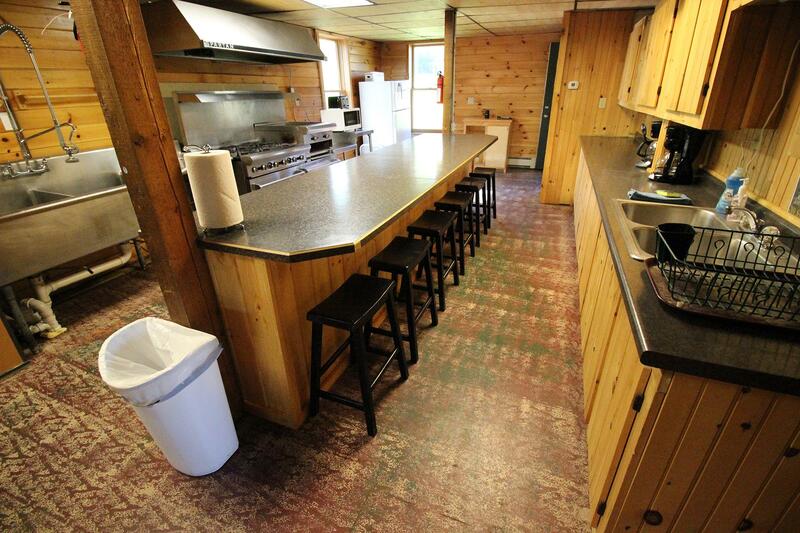 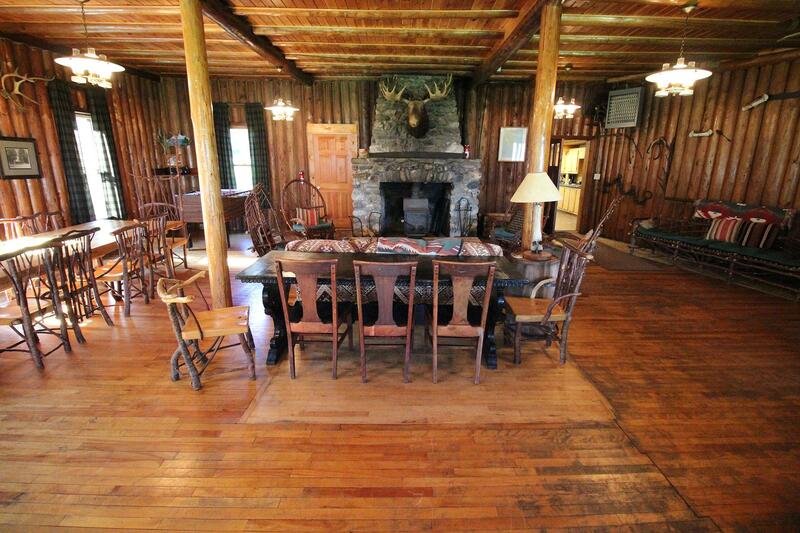 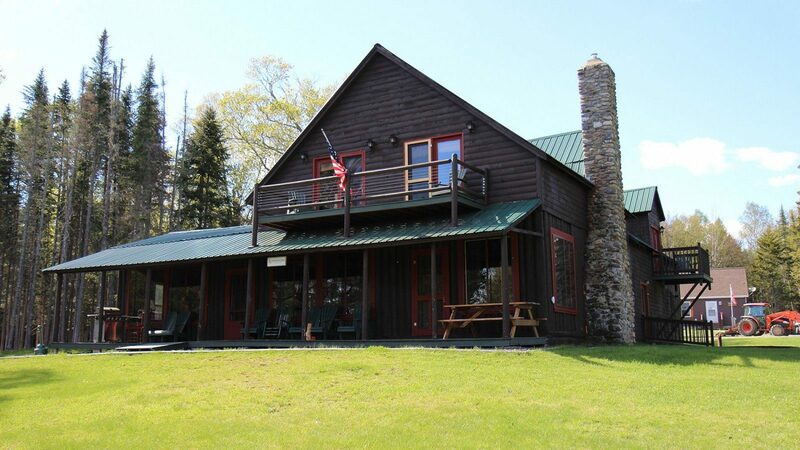 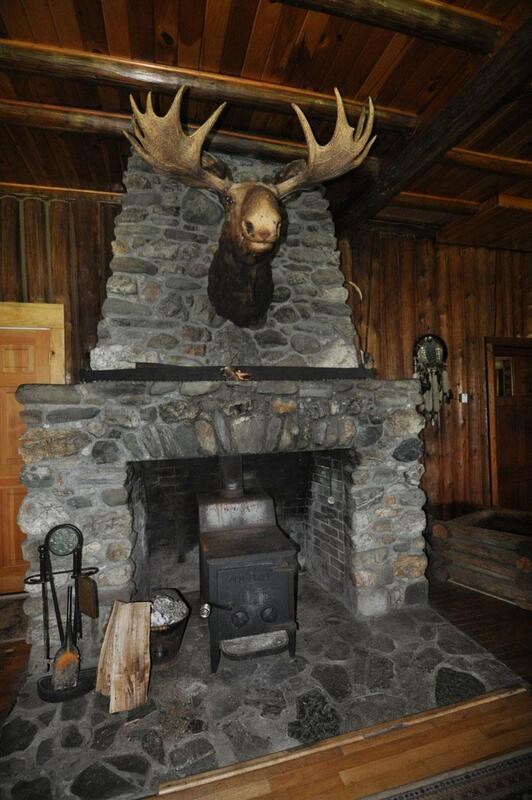 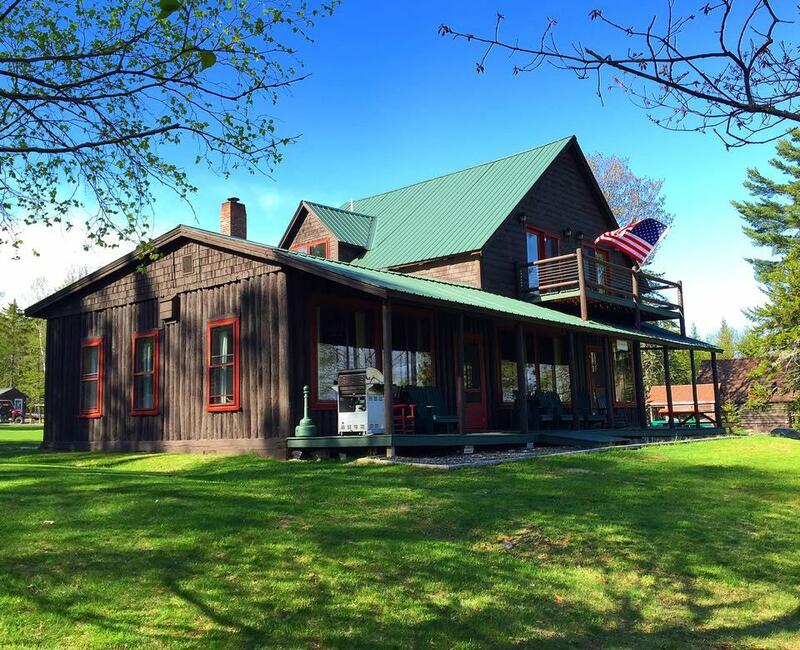 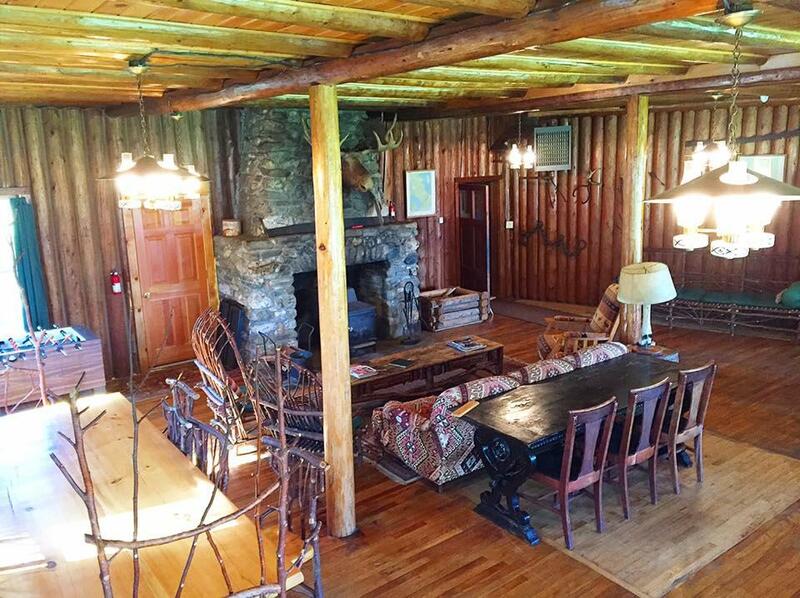 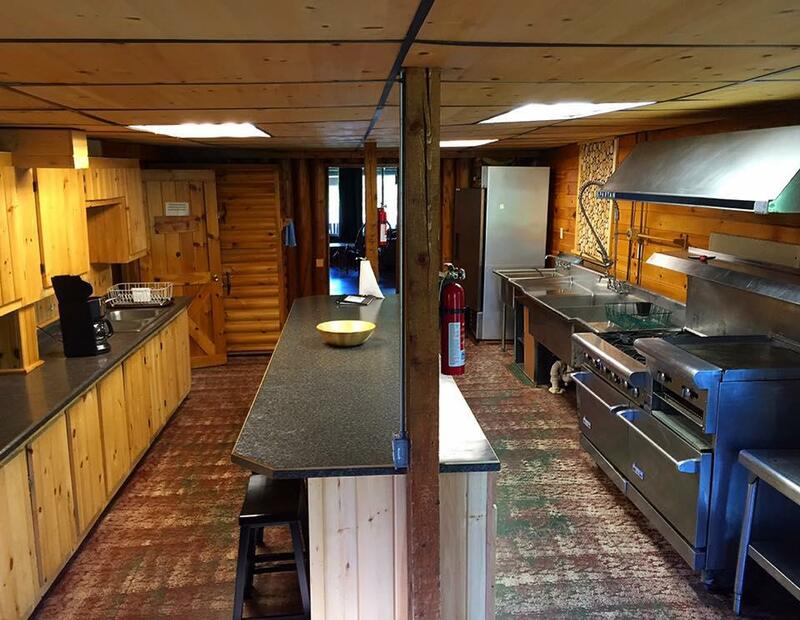 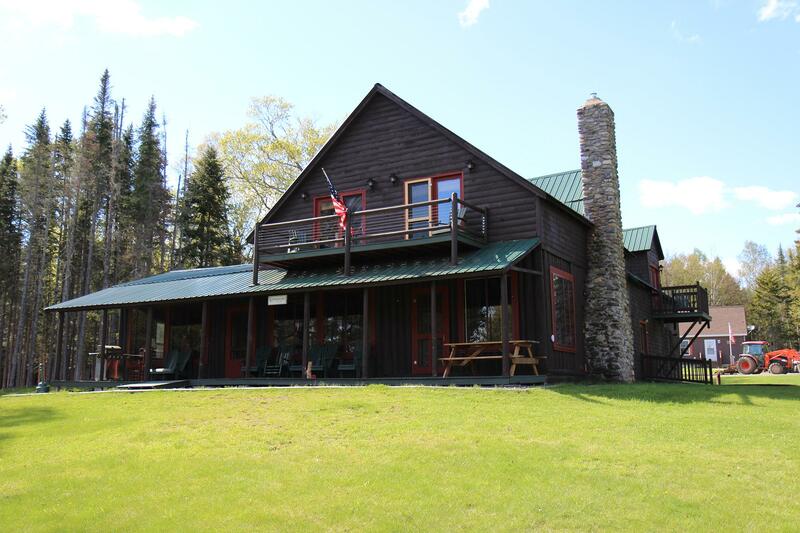 The Lodge has a new fully equipped, commercial kitchen and large living room/dining room with fieldstone fireplace. 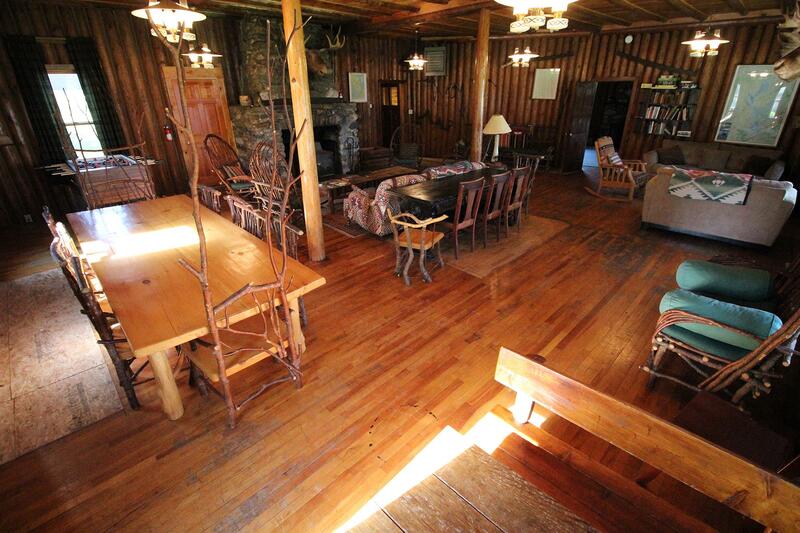 5 Bedrooms(4 with private baths), 5 total baths with 4 rooms upstairs and 1 down. 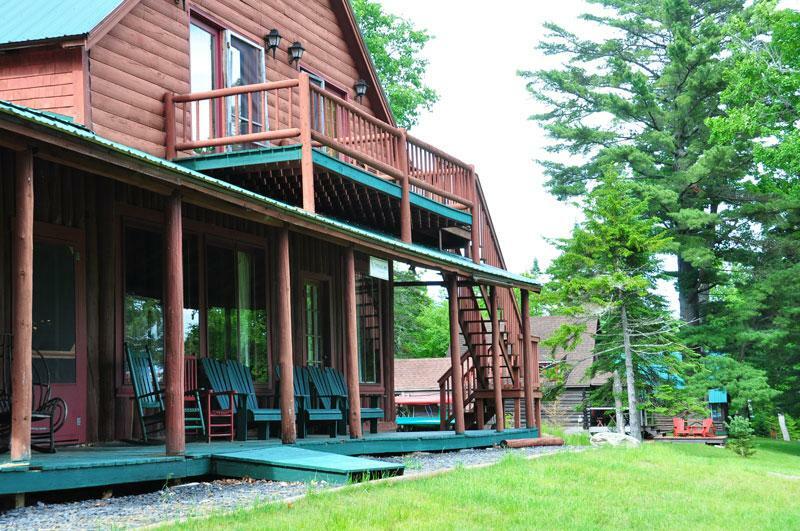 Lake view rooms with balconies. 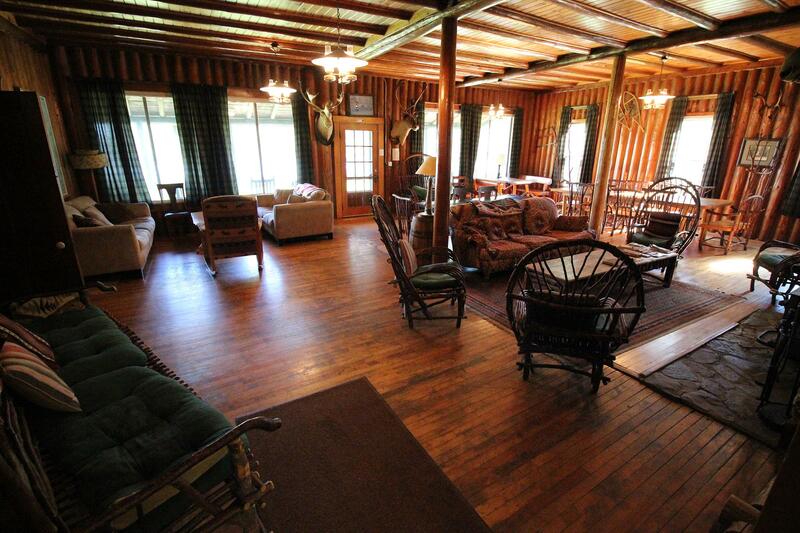 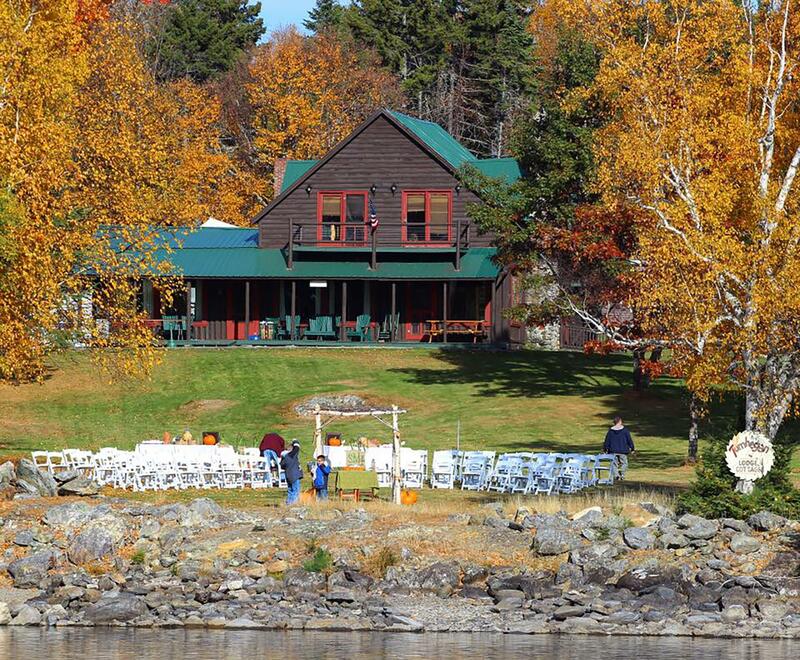 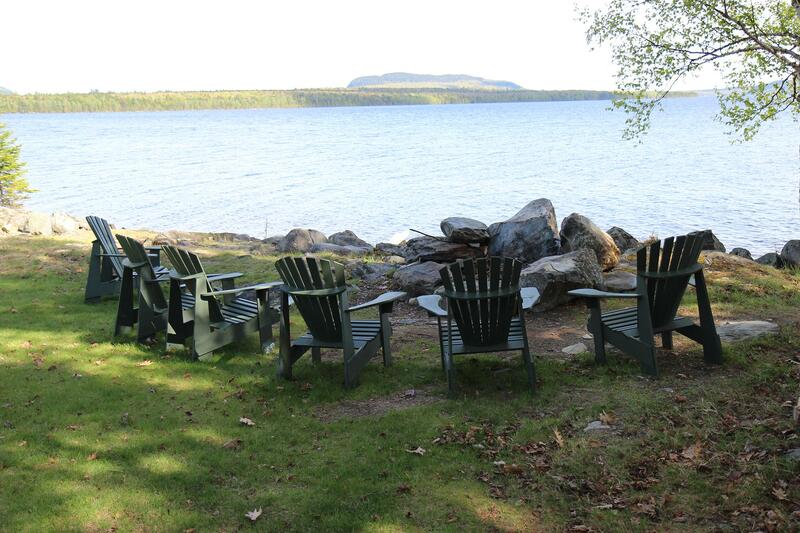 With the capacity to sleep 26 people, the Lodge package is perfect for family reunions, retreats and conferences. 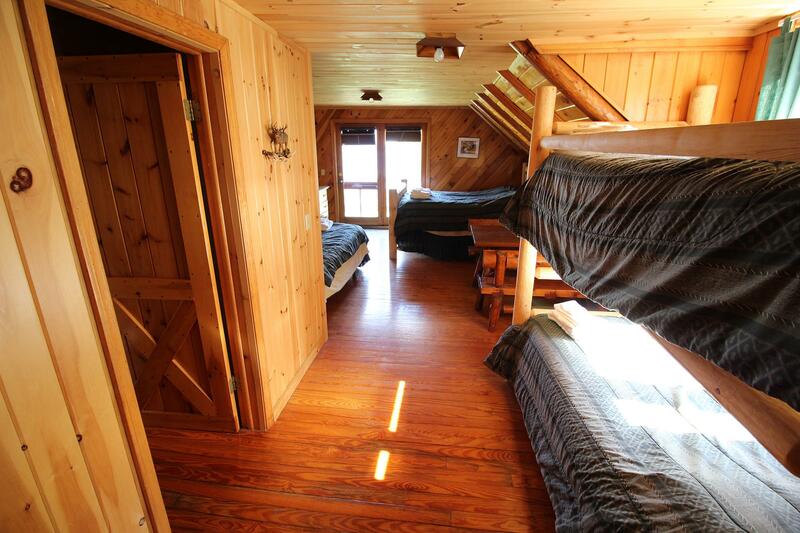 Prices based on up to 15 people and 2 night minimum stay. 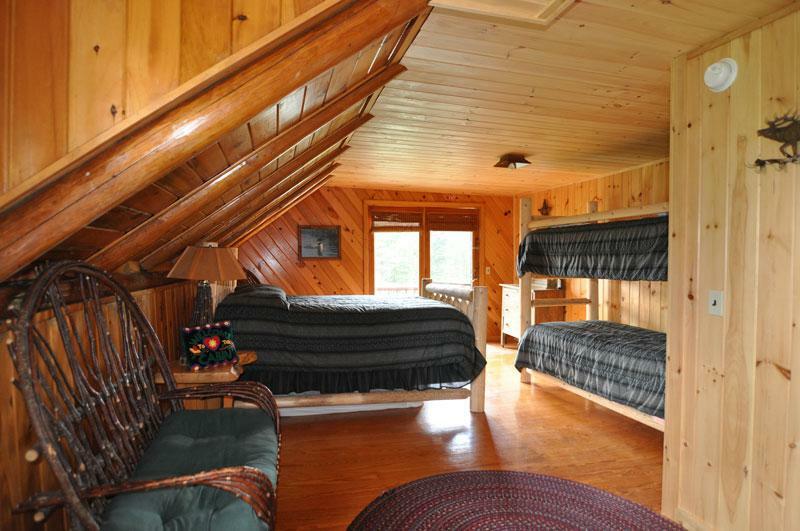 Each additional adult $40/night, children 5yrs. 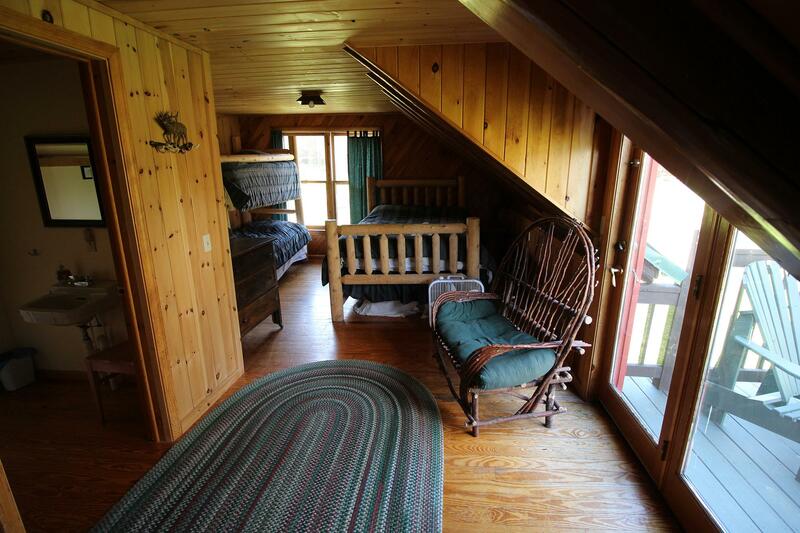 old - 12 are $20/night. 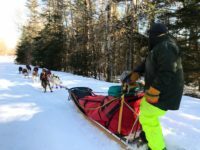 Children under 5 are free. 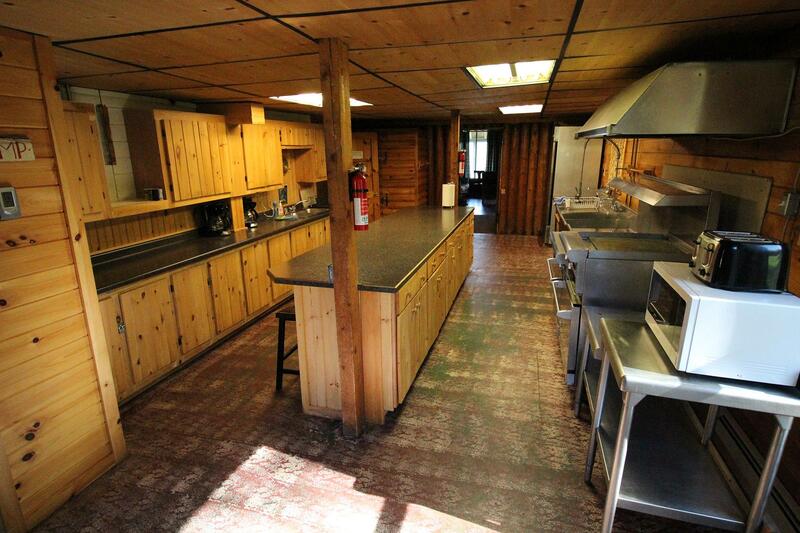 The kitchen is completely equipped with dishes and cooking utensils. 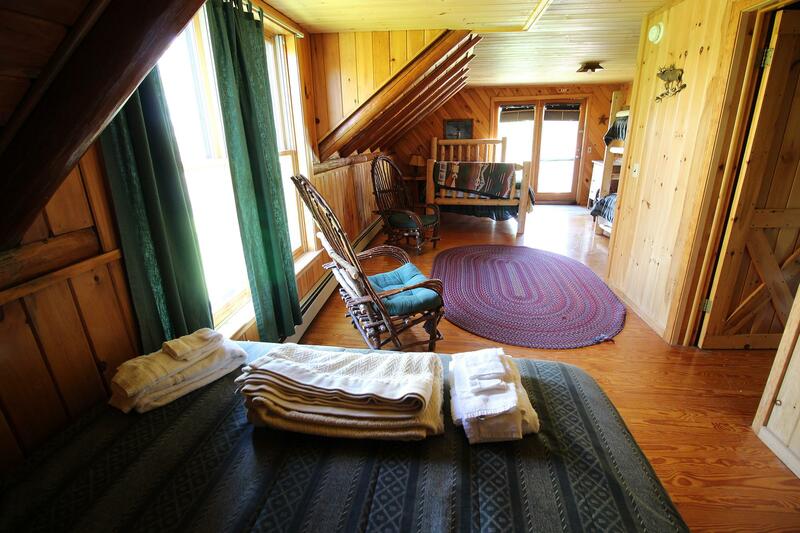 Fresh linen and towels are provided to all our guests. 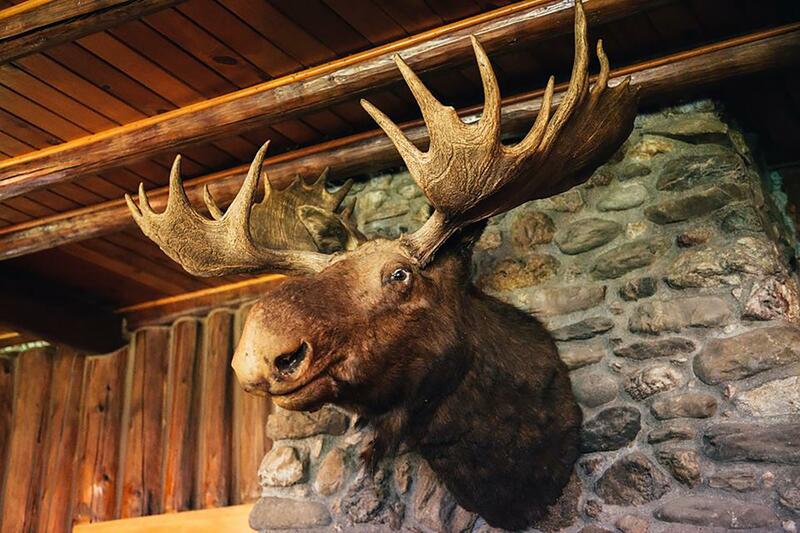 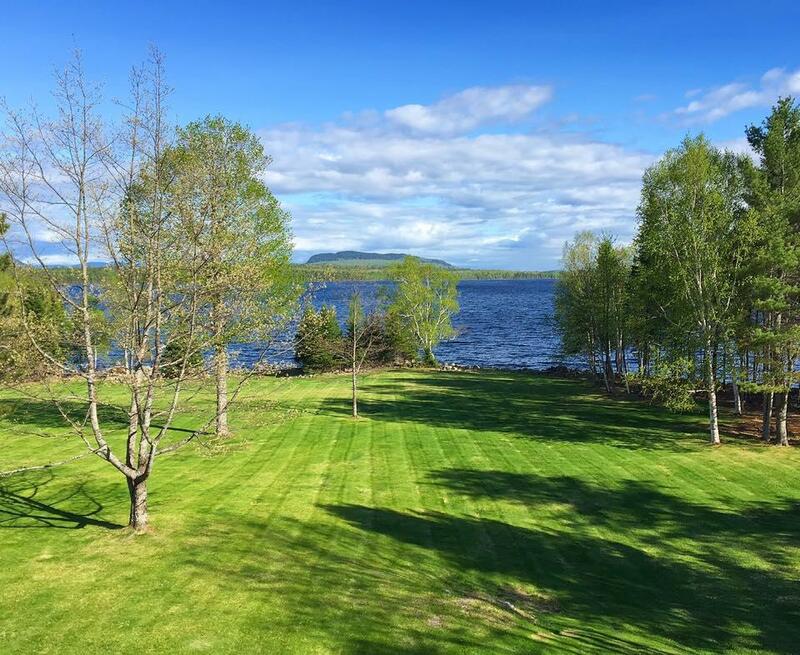 We are located at the end of a 4 mile, privately owned and personally maintained road; offering both the conveniences of town and the advantage of a woodland hide-away. 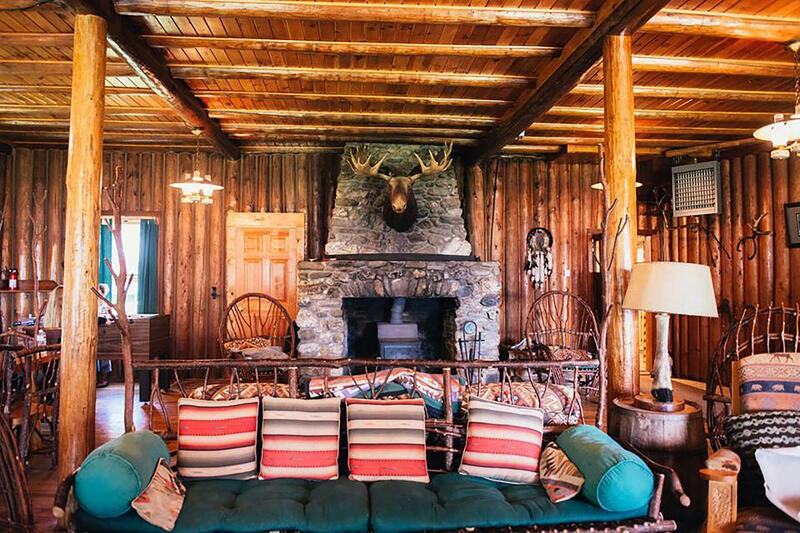 This property has 1 King(s), 6 Queen(s), 14 Twin(s).